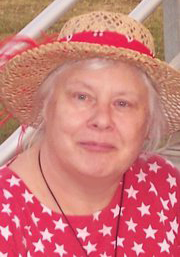 My dear friend Joy passed away rather suddenly early this year. Today, exactly in the middle of summer, makes me think of her. A fan of underappreciated holidays, she would have enjoyed celebrating today. Although Groundhog’s Day was her favorite day to throw a party, she did love summer, and hadn’t much use for the dark rainy days of winter. She would have loved contemplating why we celebrate mid-autumn (Halloween), mid-spring (Beltane), and even mid-winter (Groundhog’s Day) but not much is made of mid-summer. And we would have had fun exploring why summer solstice is called Midsummer, when it’s really the beginning of summer. At my last home, my back yard was a tangle of blackberries. At this time of year I could barely gather them fast enough, and even the many birds in the area let some go to waste. I was bemoaning this to Joy on the phone one day and she said, “I heard a simple blackberry cobbler recipe. It only has 3 ingredients.” The original recipe called for equal amounts of butter, brown sugar, and flour. Joy admired my obsession with making recipes more healthful, so approved of my addition of oatmeal. And it's especially appropriate since the ancient grain festival called Lammas just passed. This recipe uses a bit more butter than I usually use in cobblers, making it a richer dish like my dear departed friend loved. Feel free to tweak the proportions of ingredients however you like. You can eliminate the cinnamon for more focus on the berry taste. 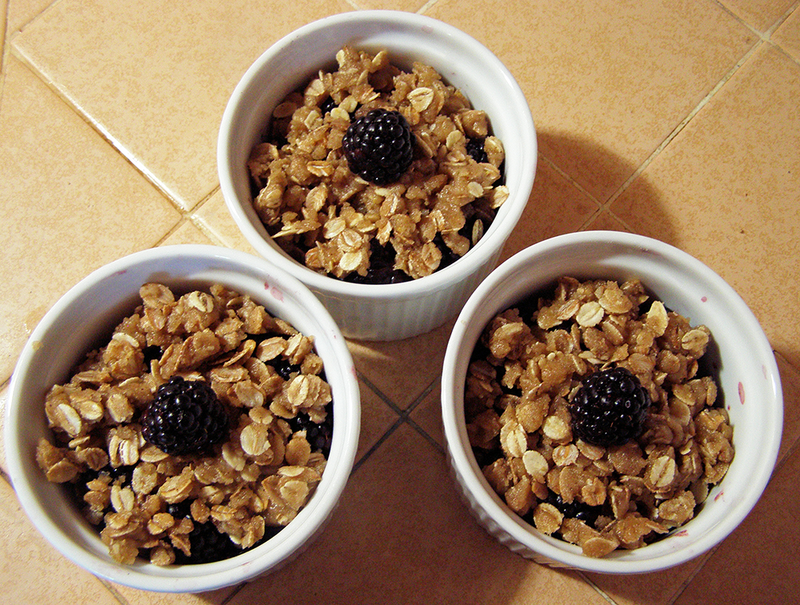 Use about ¾ - 1 cup of blackberries per person, preferably freshly gathered from a garden or rural roadside fence. Dearest Joy, wherever you are, I hope you are enjoying some “seasonal fruits” and “just desserts.” I sure miss you. Wash the berries thoroughly and remove leaves if any. Mix with raw sugar. 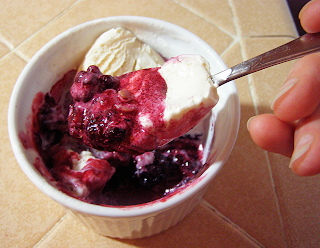 Pile berries into 3 ramekins, pushing them down into the dish slightly to make top more or less flat. For topping combine flour, sugar, cinnamon if using, salt, and oatmeal. Stir in melted butter. 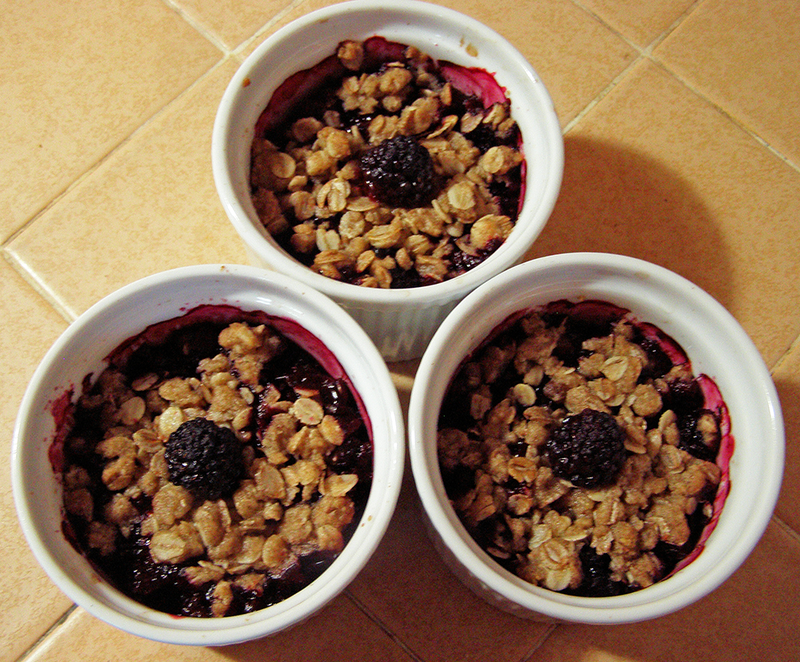 Crumble the topping by hand onto the berries. Push topping down slightly onto berries to flatten top. Bake at 350 degrees F till bubbly, about 20 - 25 minutes. To get the full Joy experience, serve warm with vanilla bean ice cream. Yes, I'd love that recipe, Annalisa! I was thinking it was too bad I didn't pay more attention the details of making it!